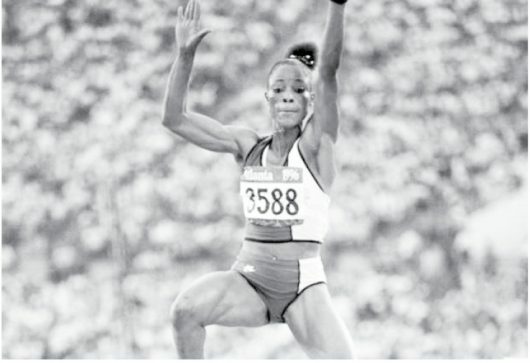 Ajunwa, who announced Nigeria’s name on the global podium in Olympic Games in 1996 Atlanta Olympic Games, USA, by winning gold in long jump during the competition, reckoned that with the dearth of activities in the country with regards to selection of athletes and camping, Nigeria is not ready for next year’s summer Olympics. Speaking in an interview with our correspondent, the Imo State born long jumper wonder what magic Nigeria would do in Tokyo when other countries that are serious with their participation are currently organising training and camp activities for the athletes. “It is a pity that in this country, we like to fail all the time. I believe as an individual that we should learn from other people’s mistakes. But we refuse to learn. Olympic 2020 is barely a year from now and this is where we are. I don’t know the kind of athletes we are going to take to Tokyo2020 that up till now we are not hearing anything. People have not started going out for exposure and training. Even if you cannot take them out, why not camp them here in the country? We are talking about Olympics; what kind of Olympics are we talking about? “I don’t think Nigeria is ready for 2020 Tokyo Olympics. Other countries that really want to perform in the Olympics are currently training and doing their competitions, taking them out to compete. But here we start our training within 2 to 3 months, it is not good that way. “My advice is that we need to start in time so that we will be able to go there, compete with others and make an impact. Even if we could not get a medal, but let it be that we prepared and did very well to marvel the world. Not we get there and everybody is eliminated at the prelim, yet we are spending billions of naira. Ajunwa, a Divisional Police Office (DPO) with Nigeria Police Force, Lagos State Command, expressed worry that 23 years after Nigeria won two golds in Atlanta ’96 Olympics, that concerted efforts have not been put in place by concerned authorities to discover and nurture athletes that would surpass the achievement. She expressed anger over neglect of ex athletes and lack of welfare packages for them after their retirements. “And they do not even see the reason to call you and give you a job but I thank God I have my job otherwise I would be roaming the streets like others, saying sir, sir to them and carrying their briefcase. That is what they want but to me, that is not how a country should be.